" 6 SPEED MANUAL 3 SERIES RWD"
Do not hesitate to contact James at 1-866-231-2457 to make your purchase arrangements! And remember we service every make and model of every vehicle that we sell. Visit us today and EXPERIENCE THE DIFFERENCE! Buy from The High Line Group with CONFIDENCE. We are a 30 year family owned and operated business! We offer very competitive financing rates and terms for all credit levels along with long term extended power-train warranties. The Highline Group makes every attempt to make sure our listings are factual and accurate. Please give us a call if you have a question about any of our vehicles. 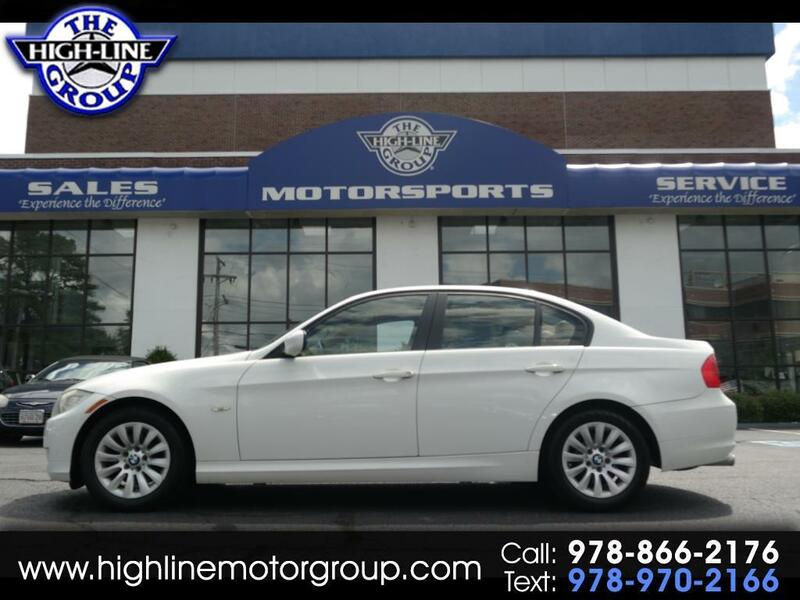 For more information, photos, and to view our complete inventory visit us @ www.highlinemotorgroup.com to see more pictures of this vehicle or call us at 978-866-2176 today to schedule your test drive. Message: Thought you might be interested in this 2009 BMW 3 Series.